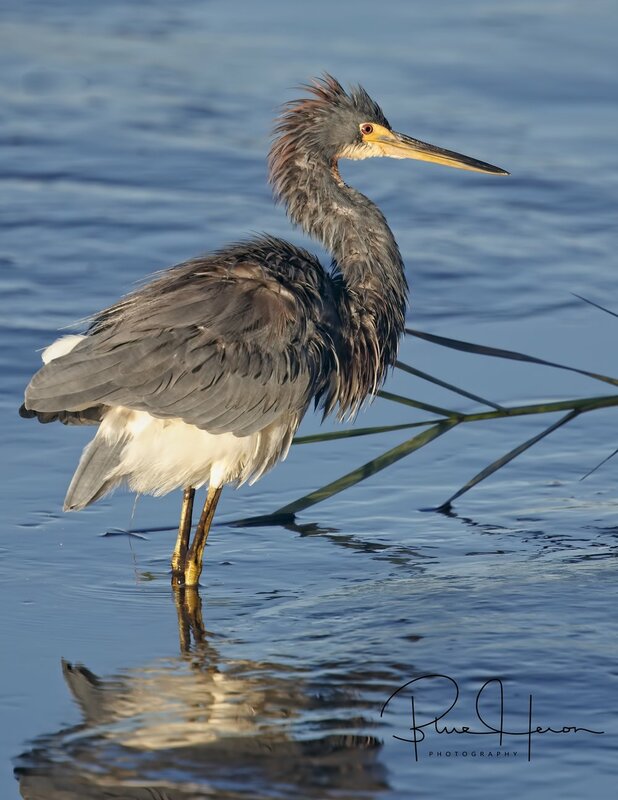 While on the dock recently I spotted a local Tricolored Heron hunting for minnows in the early morning light. 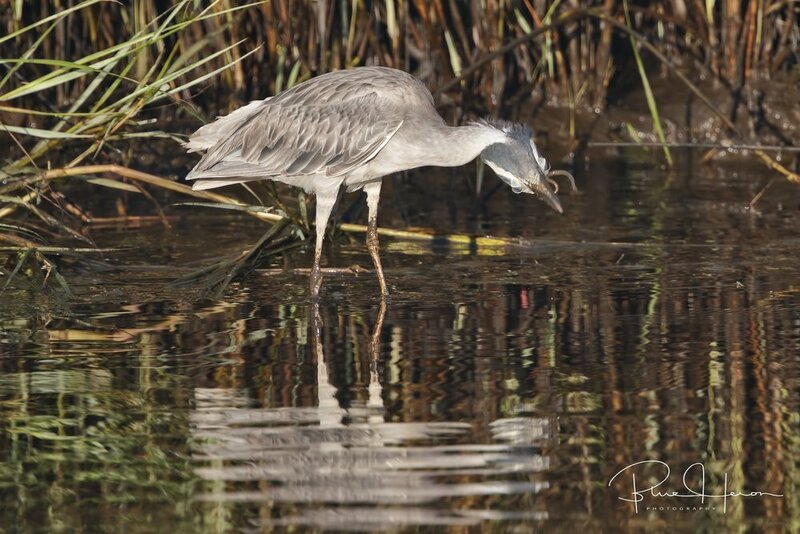 I was hoping it would fly across the channel in front of me to hunt so I could get some good reflection shots but alas it had other things on its bird brain instead. 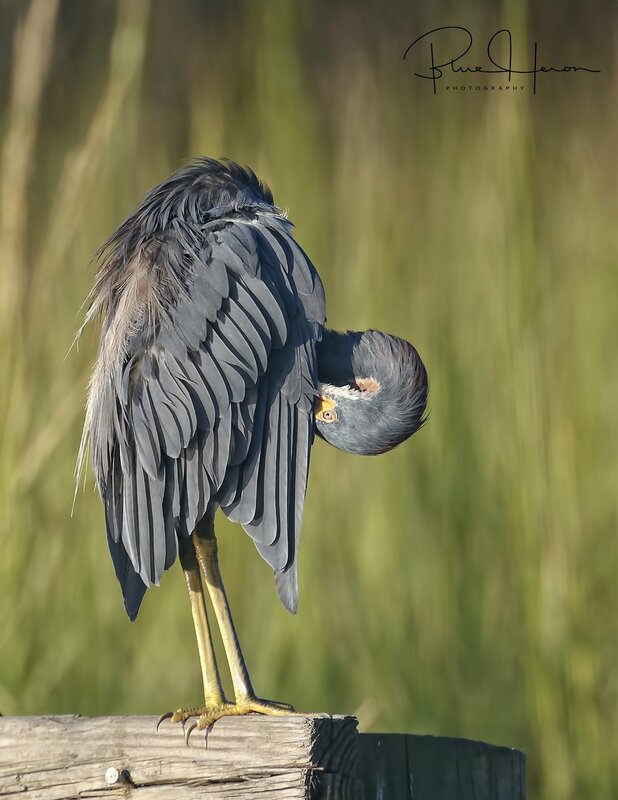 After snacking on a few minnows, it flew over the lagoon to the old pier and began to preen. It reminded me of the Editor in some ways. That bird had to fix every feather on its body it seemed. My arms got tired holding the doohickey trying to capture each effort. It started under its wings, moved to the sides, then the back and even around to the its tail feathers. 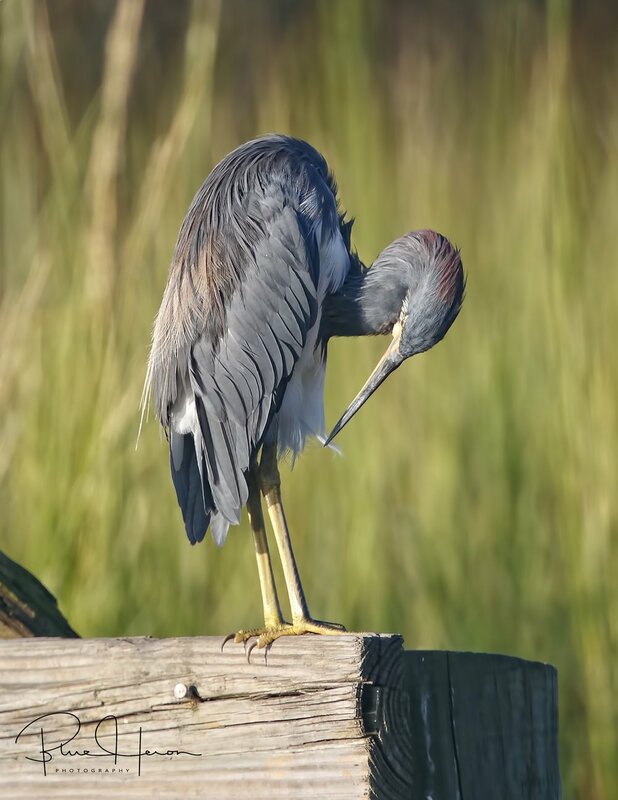 Meticulously it picked and preened and poked until each feather was just right. Then the neighbor’s dog spotted me and started raising such a ruckus I had to leave. Fixing feathers takes time, and like everything worth doing it makes a difference in the end. 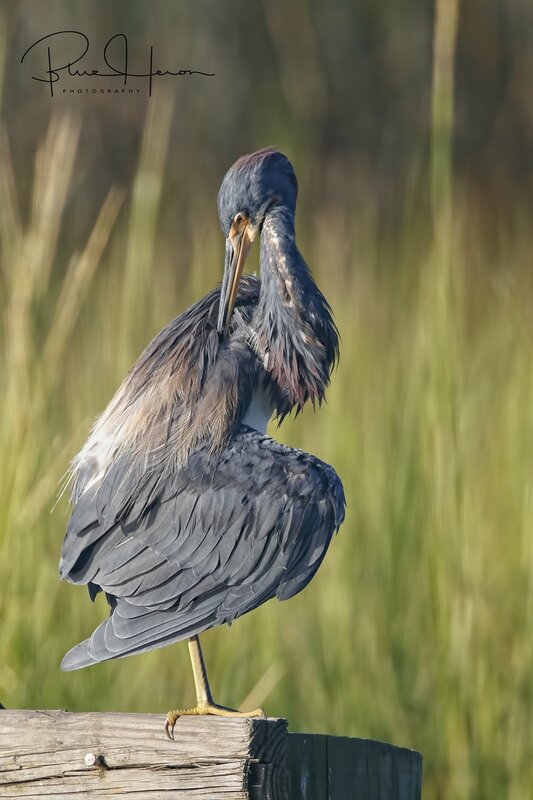 Look how nice the Tricolored Heron looked when done. Each feather on a bird serves a purpose. If the very hairs on our head are numbered, I suppose they do too. Glad I still have some even it is a bit gray. Blessings. 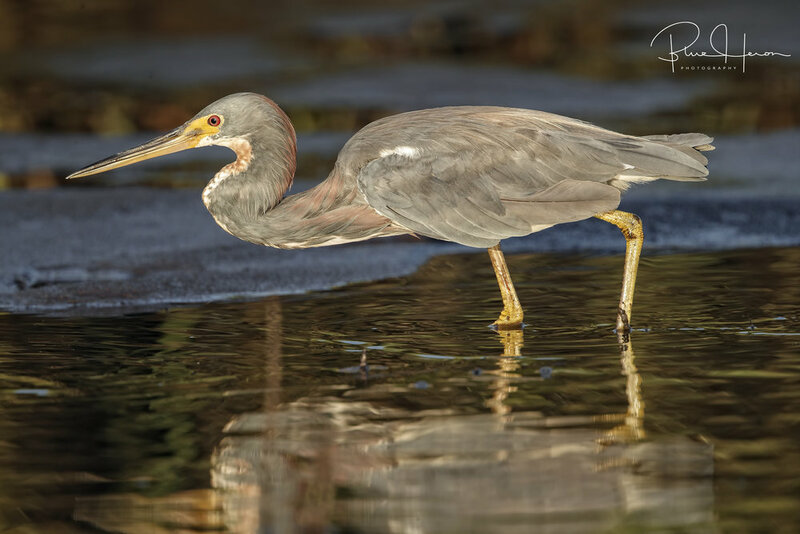 Tricolored Heron hunting minnows in the outgoing tidal stream. My feathers are all messed up now! After morning minnow hunting it is time for fixing feathers.. Check this underwing pits …phew..
Now those side feathers..got to be just right.. I think my neck is stuck…help! All clear in the rear..
One more feather to fix.. Shy Tri…gives me a glance over its shoulder.. It takes time to get these feathers looking this good but I am sure worth it! Just ask the Editor.. The heck with Reece’s cups, Broward Bob enjoys a nice Spider snack instead! Are you an early bird or a late riser? Thanks to a certain feline resident I am getting up a lot earlier than I want to (between 3 and 4 am). Fall weather is sweeping across the Broward finally giving us a little relief from the high heat and humidity. I see a few early birds out in the channel. Time for a cup of coffee. Does the early bird really get the worm? 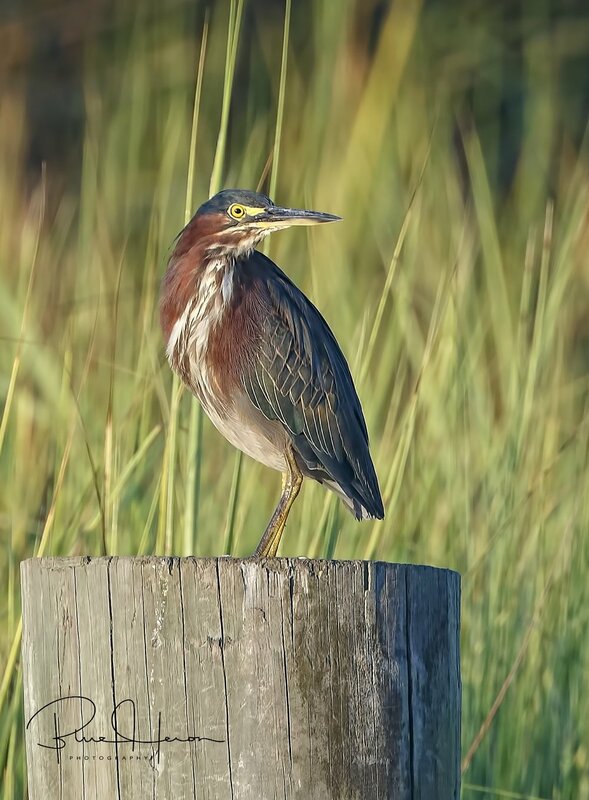 Bacon and eggs sound much better to me but then again, I am not a marsh bird. 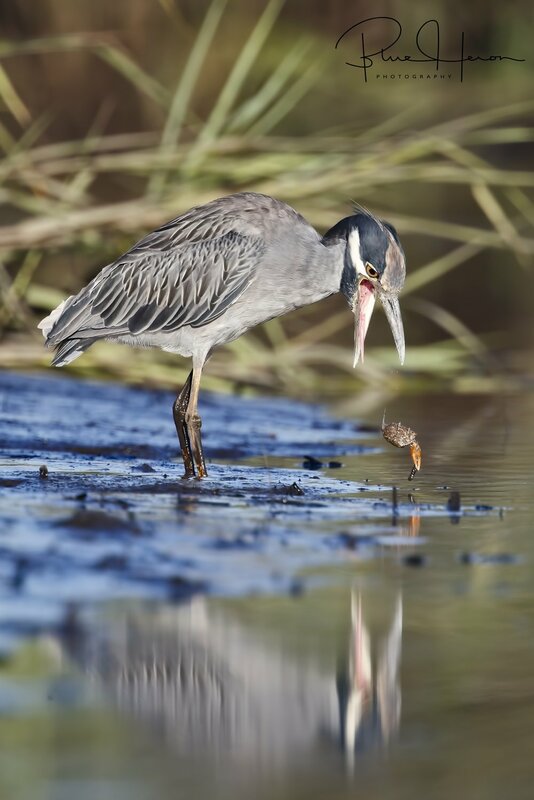 George, the Yellow-crowned Night Heron seems to love them though. These worms are not your usual earthworms found in the grass. These are some sort of marsh mud worms (or eel?). And are they strong! It seems like George had to shake them up a lot to be able to swallow them. Some images appear to show the worm getting the best of ole George as if twisting his head. But in the end, George the early bird, indeed got the worm. He also spit up a pellet of undigested crab shell parts (the worm must have given him indigestion). George will be leaving the Broward any day for parts unknown and hopefully return in the spring. 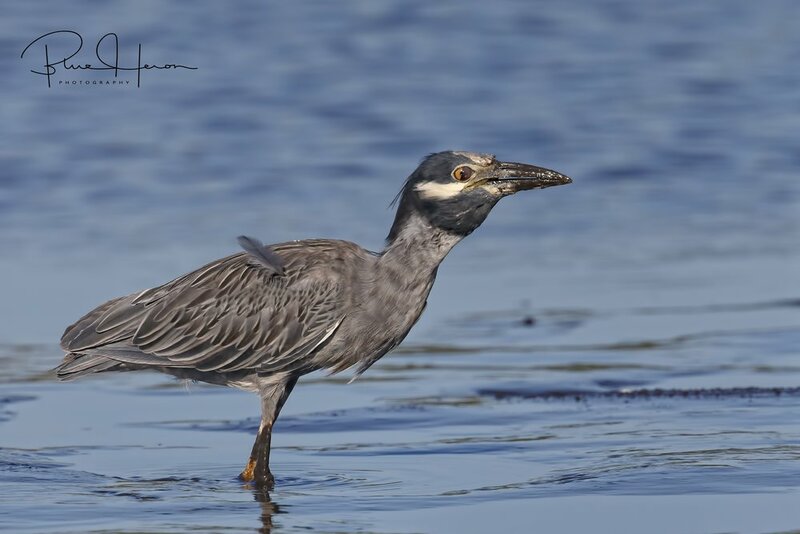 The other night herons (Black-crowned) were also up early. From the looks of those red eyes I would say they were up all night and need some sleep. Think I will get the Editor up and have some bacon and eggs now. You have a blessed fall day. Morning sun-fire on the horizon..
George is definitely an early riser..
Do I smell coffee there Mr. Doohickey? 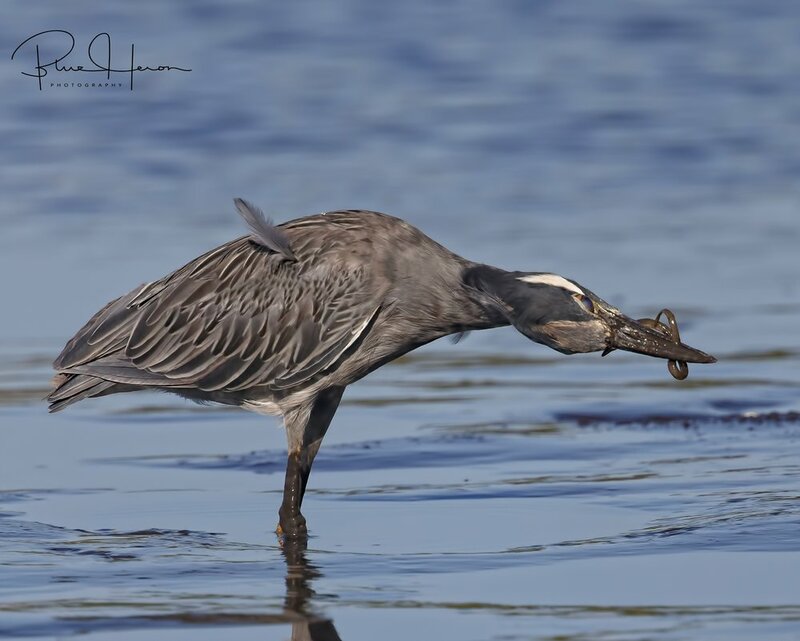 A little yoga to get the blood flowing…and stretch those limbs..
George pulls a ferocious marsh mud worm out of the muck..then a fight begins..
Got another one..fiesty lil guy too! Let go of my head..
That worm must have given George indigestion, he spits up a crab shell pellet.. 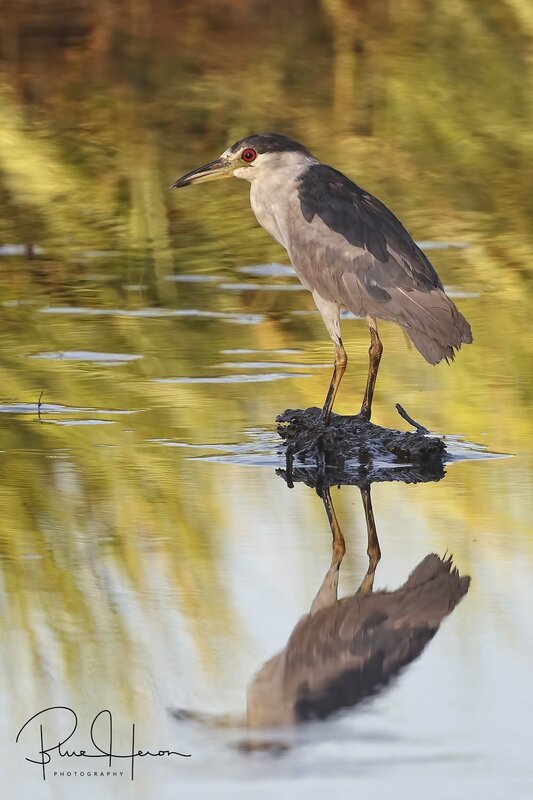 The red-eyed Black-crowned Night Herons are also up early or most likely stayed up all night from the looks of those eyes. Who needs worms when you have a pair of nuts like these! Indeed, with the recent flooding in the Carolinas and devastation on the Gulf Coast region there have been some real hard times in the neighborhood. But it is still “a great day to be alive”. The sun was rising, the golden rays were filling the marsh. A pair of Great Egrets descend to the old pier in an apparent territorial dispute. They circled the dock several times giving me some great flight shot opportunities. I was hoping to get a few reflection shots and was pleased to do just that. While processing the images from the camera I opened my Facebook page and got a reminder of photos taken one year ago. 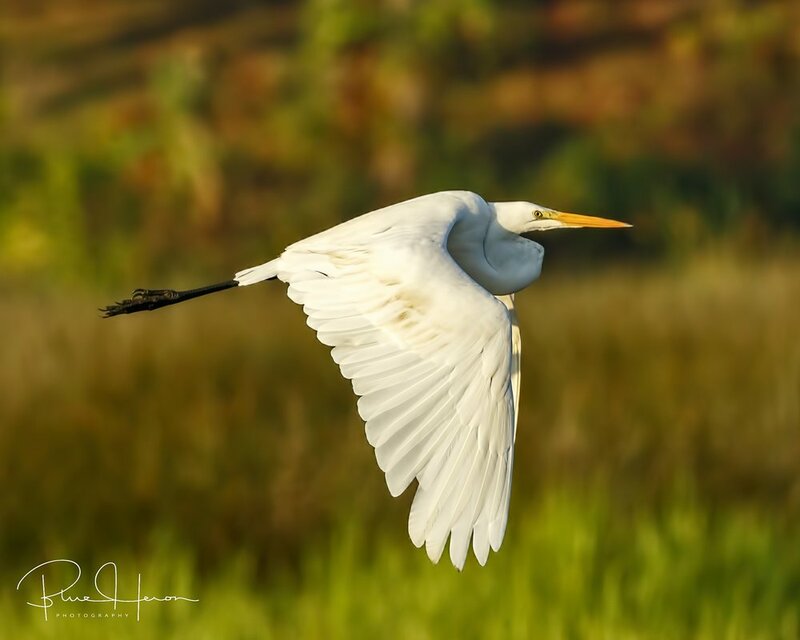 The photos were some fly by shots of perhaps the same Great Egret taken on the same day a year ago. In the words of Yogi Berra, “it’s De Ja Vu all over again”. There is another Great Egret on the pier..
Facebook photo taken a year ago of perhaps the same bird, same day as the above photos…De Ja Vu all over again..
Great Egret greets the morning..Indeed it is a great day to be alive..
Wake up George! You still have a home,,be thankful..
Like the touch of an Angels wing on the water..Have a Great Day! I can still recall the sound of this waking memory even after all these years. It is time to wake up, put on a fresh pot of coffee and turn to for the day, make that bed and sweep those floors (or clean up dog pee). But don’t light up in my house, it is a designated non-smoking quarters. Gee, I wonder if the last announcement about the smoking lamp is still authorized in the new politically correct Navy. Or perhaps only if it is medical marijuana. 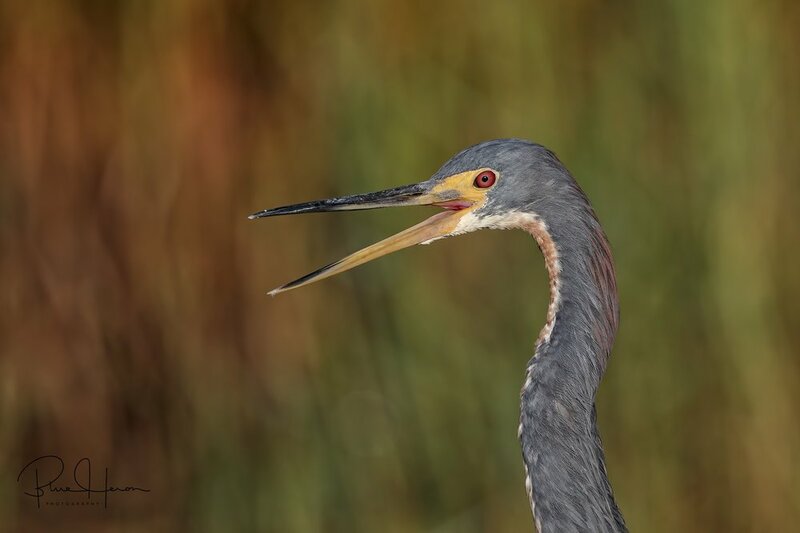 On the Broward, the birds have a built in reveille call. They arise before sunrise, preen their flight feathers, check out the latest weather report (ducks don’t care if it is raining), and head of to their favorite feeding site. If I am fortunate enough to make it out to the dock before they go upriver, sometimes I can capture some nice” fly by” shots. I sip my morning coffee and glance out the window. 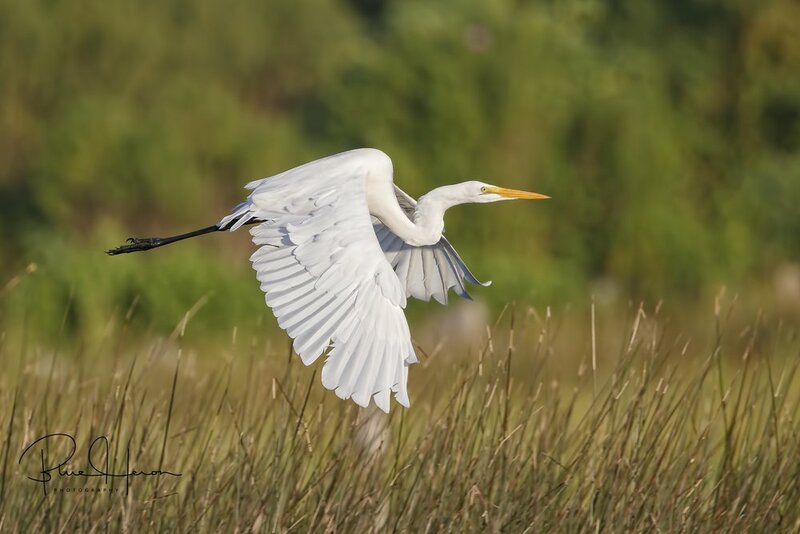 On the Lizard Lounge was a familiar Great Egret getting its feathers ready for flight. This Great Egret has been visiting the dock for years and has a favorite fishing hole right in front of the lounge area. The tide was coming in bringing lots of minnows and it was anxious for some morning snacks. The egret was joined by some other herons doing there morning routine also. I carefully crept down the back stairs to the yard and was able to capture a few moments to share with my trusty doohickey. Golden rays began to bathe the Broward as morning broke over the horizon. The egret had some misses and fortunately some success too. It then hopped up on the dock, gave me a hello, shook its feathers, and then gave me a wonderful fly by. Fixing feathers on the dock. Wake Up! Time for a cup of coffee! Nothing like a good cup of joe to get your feathers moving in the morning..I’m all shook up just like Elvis now! Where did that minnow go? The Belted Kingfishers are back on the Broward too! Time to fly on to the next feeding hole, I hear the mullet are jumping! 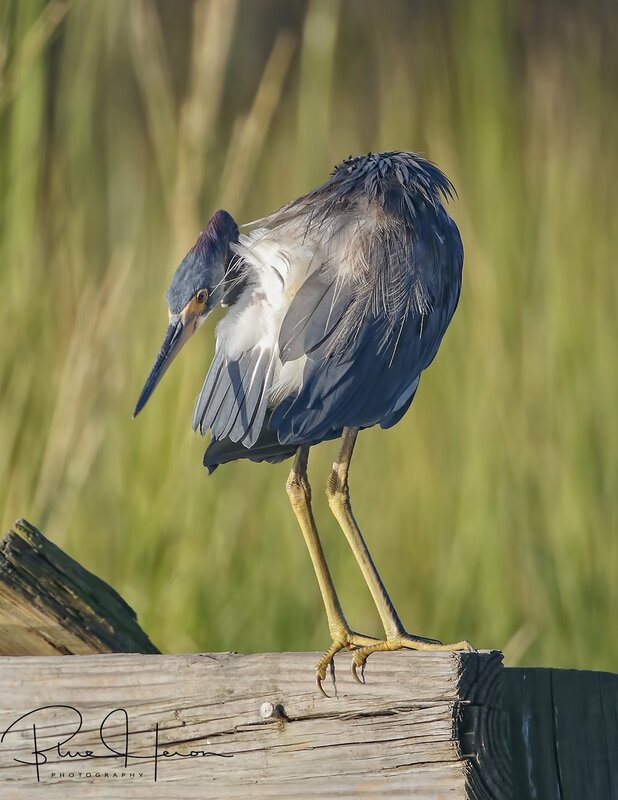 Graceful wings on the downbeat..
Topshot to top off the morning..
Another topshot…Juvenile Little Blue Heron..
Juvenile Little Blue Heron…they turn blue as they mature, white feathers as juveniles. I get blessed with an Eagle overhead, you have a blessed day too! It is pre-dawn on the Broward. The sky is just beginning to brighten before the sunrise. The harvest moon is setting on the horizon. The Editor and I are doing morning devotions. Flocks of Cattle Egrets winging by the window interrupt my thoughts. Flashes of white motion fill the air. If only I could share that moment with you, that 1/250th of a second of wonder. It is just too dark to do that though I said to myself. But I tried anyway using some basic photography skills. Per one on line tutorial “One of the three pillars of photography that can dramatically affect the look of your images is camera ISO (the other two shutter speed and aperature). 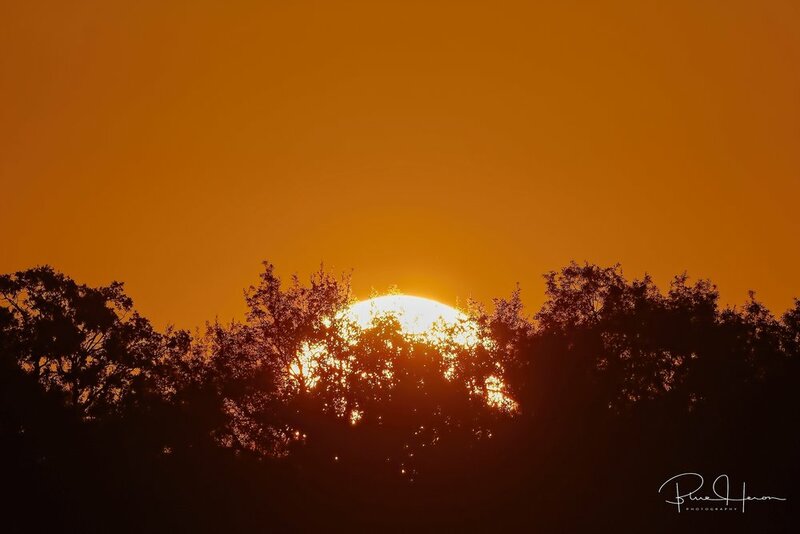 Like those two settings, ISO controls the brightness of your photos, and it is a crucial setting to use properly if you want to take the best possible images.” Digital cameras of today are quite capable of capturing low light images. It requires a high ISO to do so. So what is ISO? ISO on a camera stands for International Standards Organization, which is the governing body that sets sensitivity standards for sensors in digital cameras. ISO settings determine how sensitive the camera’s sensor is to light, while taking various types of photos. Low ISO selection gives less noise or graininess than high ISO. But you need high ISOs for low light. The Ansel Adams of today spend hours in the computer “darkroom” adjusting photos for noise (ie graininess), sharpness, shadows, etc. like the old film photographers did in the darkrooms of yesteryear. So what did I capture in that 1/250thof a second? 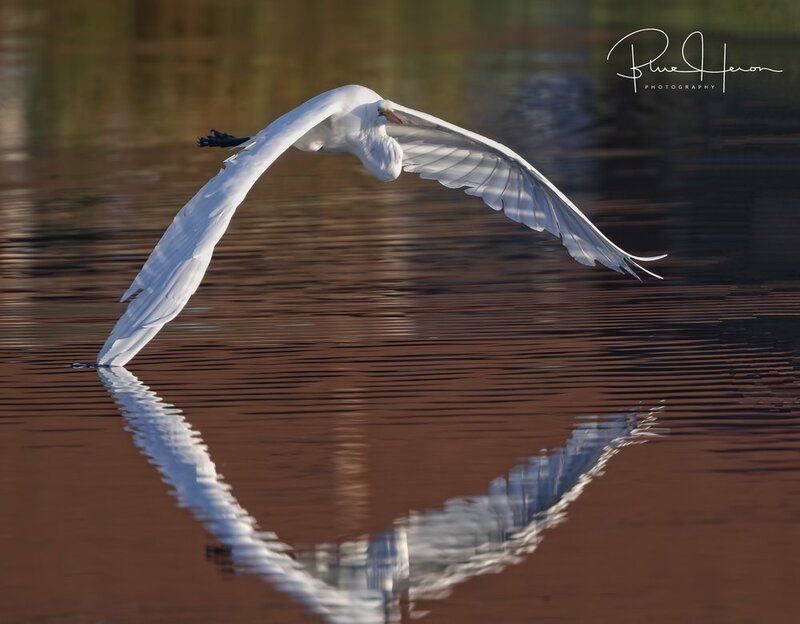 As you can see from the photos below the motion of the wings is blurred at 1/250th of a second. I needed a high ISO required to brighten the image without “blowing” out the white wings. To have sharper images would require a higher shutter speed of greater than 1/1000thof a second. But that would darken the image. If I could scan the birds motion properly with my doohickey though I might capture a few birds in focus depending on my focus point used. By now I am sure I have lost most of my readers. These are just some of the things that go through a photographers mind trying to capture that perfect image to share. But sometimes you don’t have even but a fraction of a second to capture the moment. So what did I capture in that 1/250th of a second shutter speed with high ISO? Per the Editor, I captured the heartbeat of God in the wingbeats of the birds. Be blessed this beautiful October day. Sunset on the Broward is beautiful too..
Sundown silhouette of the Goat Egret returning at evening tide..